I’ve spoken about Moddershall Oaks before on xameliax – it’s my favourite spa in the UK and every time i’ve been here for a day retreat or just a treatment I love it a little bit more. 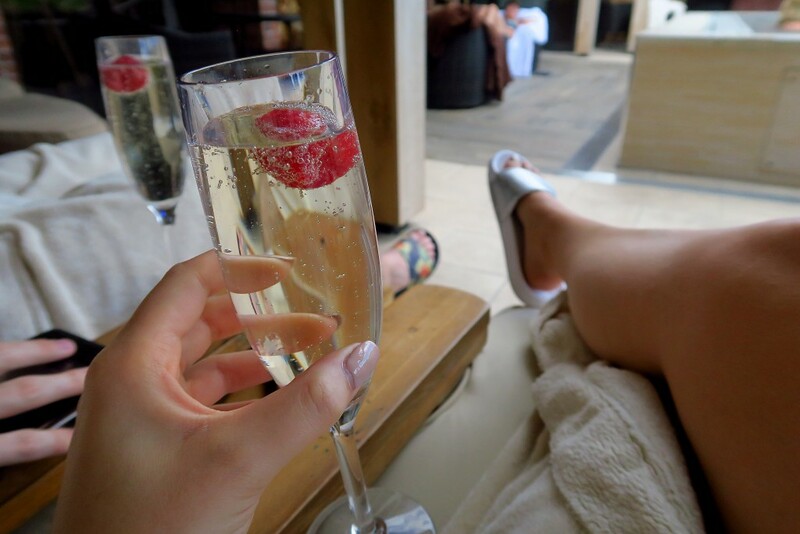 I came for a girly pamper day back in March with my friend Paula after our holidays which was my first experience of a full spa day and I had such a wonderful time I knew I had to take Joe along with me for a romantic spin on this relaxing day out. 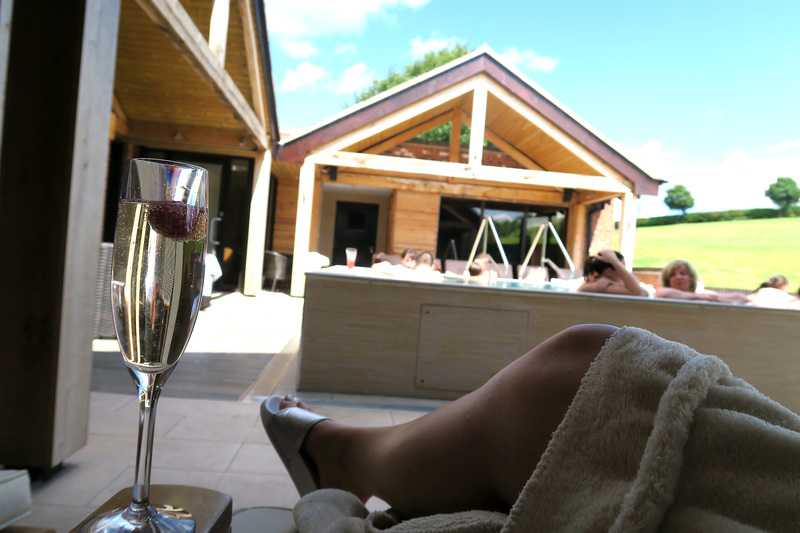 After being away in Croatia all week, a day together at Moddershall Oaks was the best way to catch up, relax and make up for the time we’d spent apart so when they invited us down to try their new summer treatments we jumped at the chance! 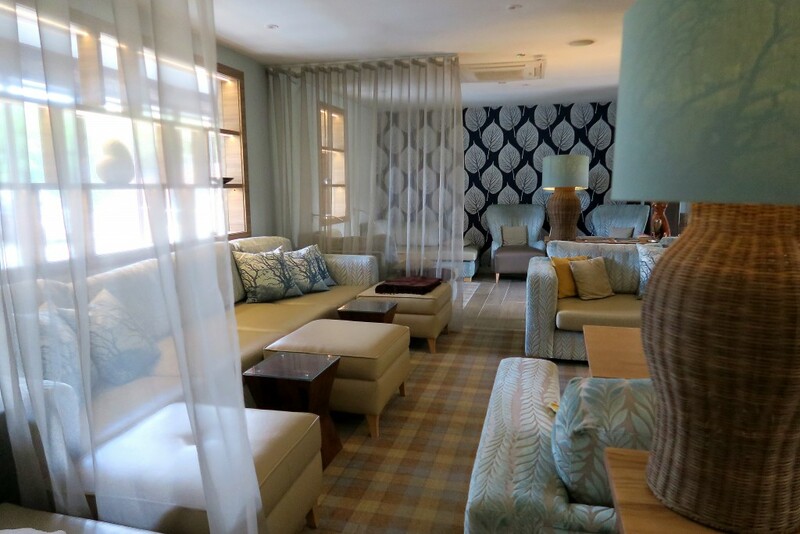 I’m a big advocate for taking time out with your partner every now and again just to chat, chill and enjoy each other’s company and what better way to do that than at a spa. We went for half a day this time as my flight landed pretty late on Saturday meaning we were able to have a good old lie in before heading over to Moddershall. We arrived at 12pm and filled out our treatment forms over a glass of fresh orange juice before slipping into our robes and a pair of Slydes each I smuggled back from Croatia – seriously guys, these shoes are the most comfortable thing in the world! 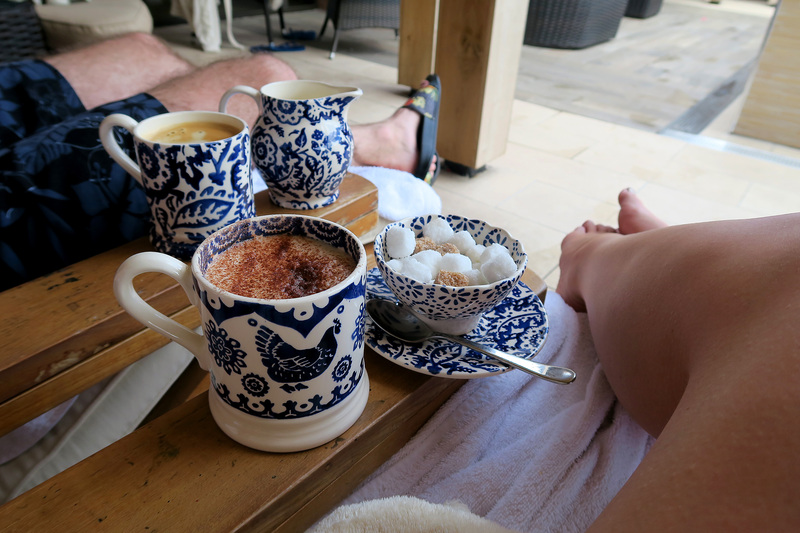 The weather was glorious on our spa Sunday so we snuggled up on a comfy recliner by the outdoor hot tub and ordered a couple of coffees to start our day! We chatted about our weeks and watched people read by the outdoor fire and hop in and out of the hot tub and sauna. 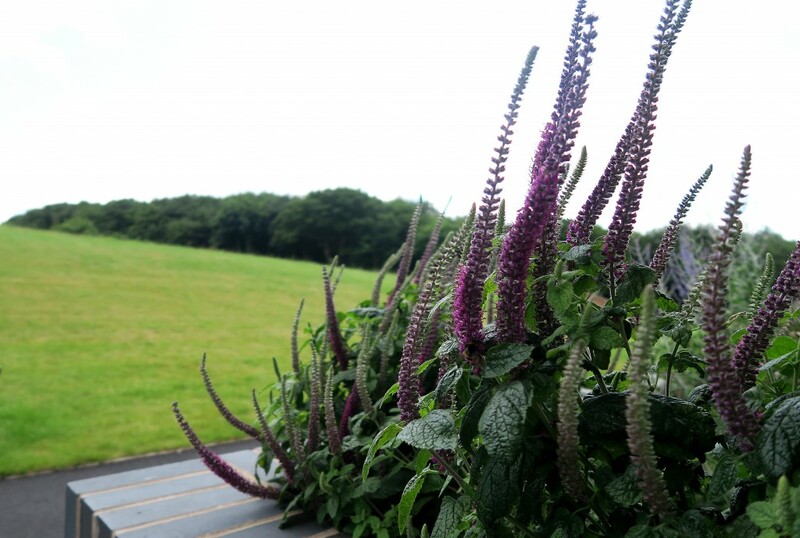 The vibe was so relaxed outside with everyone just doing their own thing, and the great thing about Moddershall is that they never over-subscribe their days which makes your day feel even more special, like an exclusive luxury retreat just for you! Joe caught a few Zzzz’s(!) 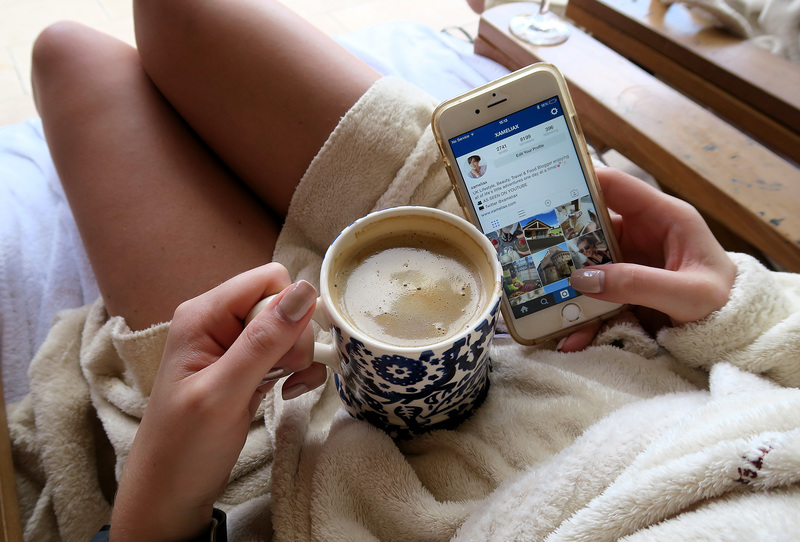 while I caught up on my social media (don’t forget to follow me on instagram @xameliax!) 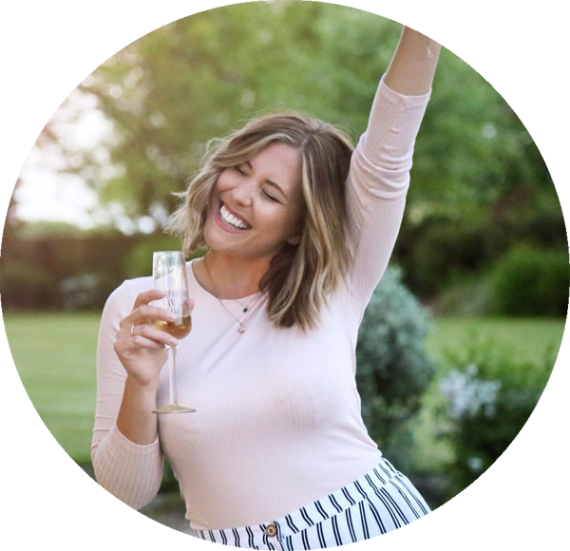 – there’s always so many emails and comments to reply to when you come back from holiday! 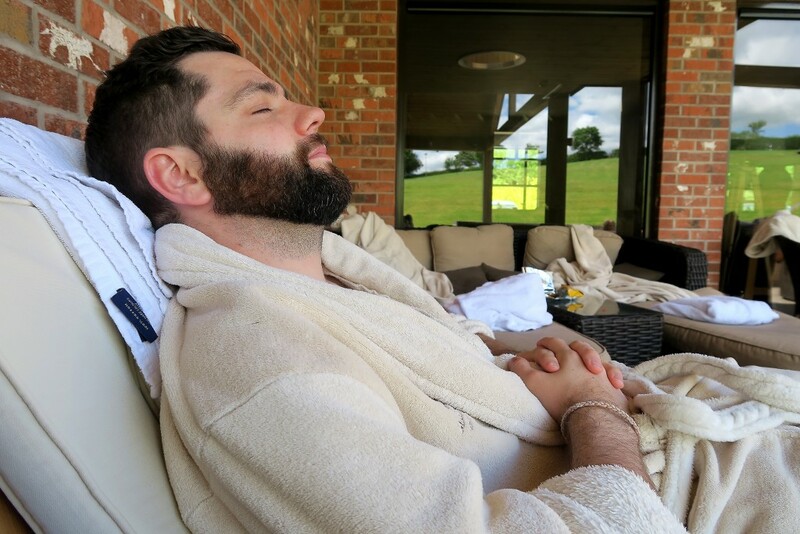 We lounged around in our robes feeling incredibly relaxed knowing that we could do anything we wanted or nothing at all, that’s the power of a spa day! 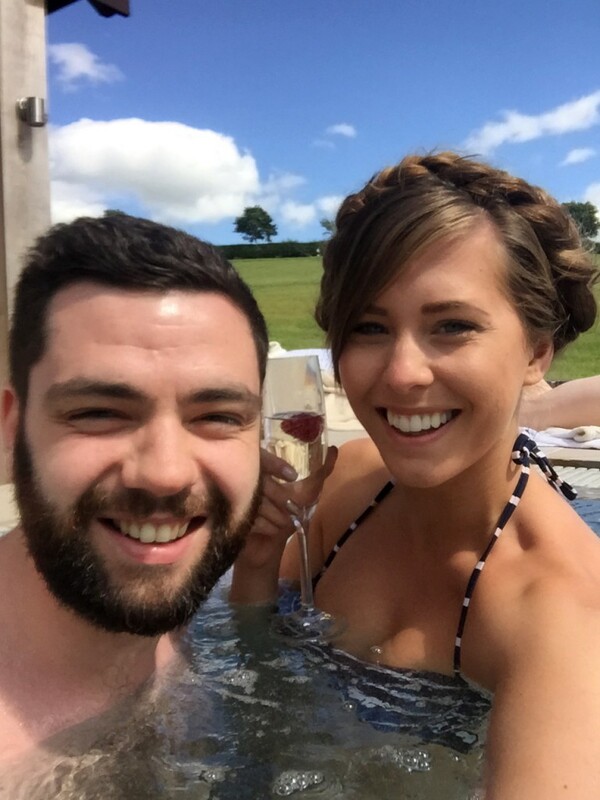 We decided to swap our coffee for some fizz instead and take a dip in the hot tub before our treatments. 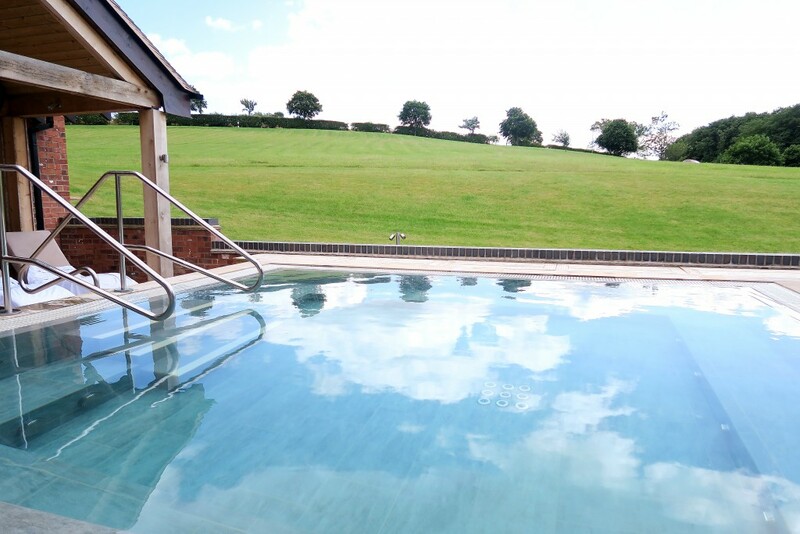 There’s something to be said for sitting in a warm bubbling hot tub surrounded by beautiful English countryside with a glass of bubbles…even if we did forget our sunglasses and spent the majority of it squinting at each other! 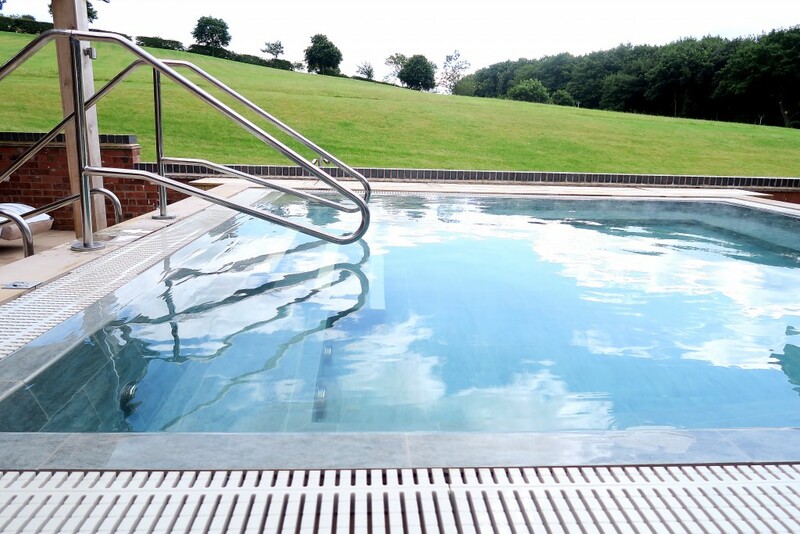 Moddershall’s hot tub is huge, like a mini swimming pool and is just the right temperature for relaxing in with waiter service to the bar – what a fantastic way to spend a Sunday! 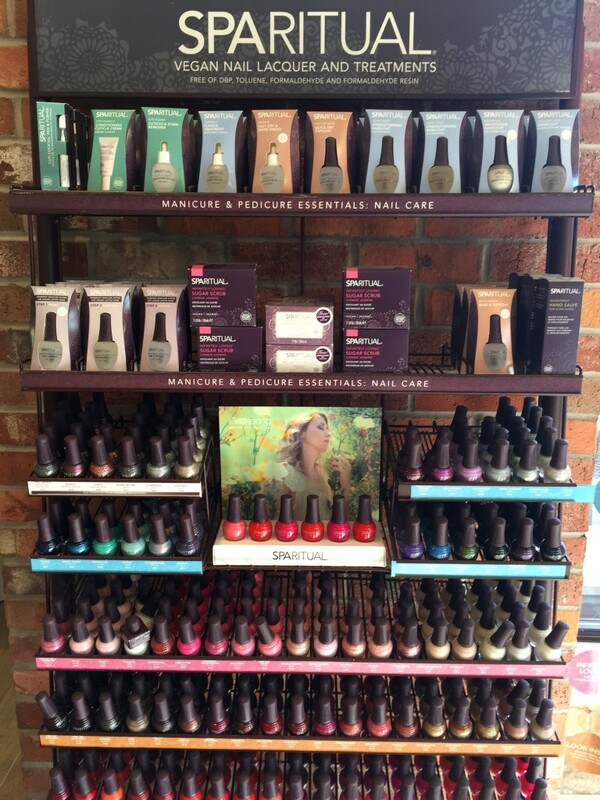 After our dip we parted ways for our spa treatments. Moddershall have introduced a new range of summer spa treatments available until September his year which include Mojito Manicures, Pimms Pedicures and a heavenly Rosehip and Peppermint Massage among others. 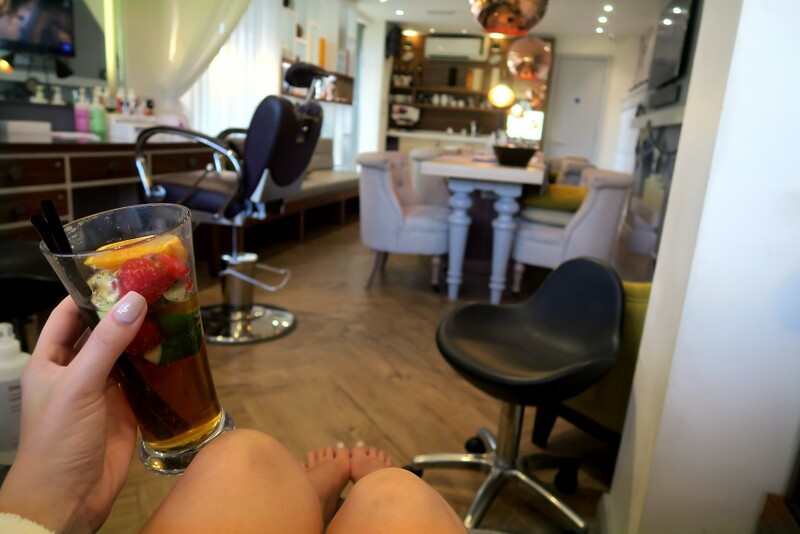 I went for a Pimms Pedicure (£32*) to pamper my feet after a week of exploring in Croatia and Joe chose the Rosehip and Peppermint Back Massage (£30*) – bliss. 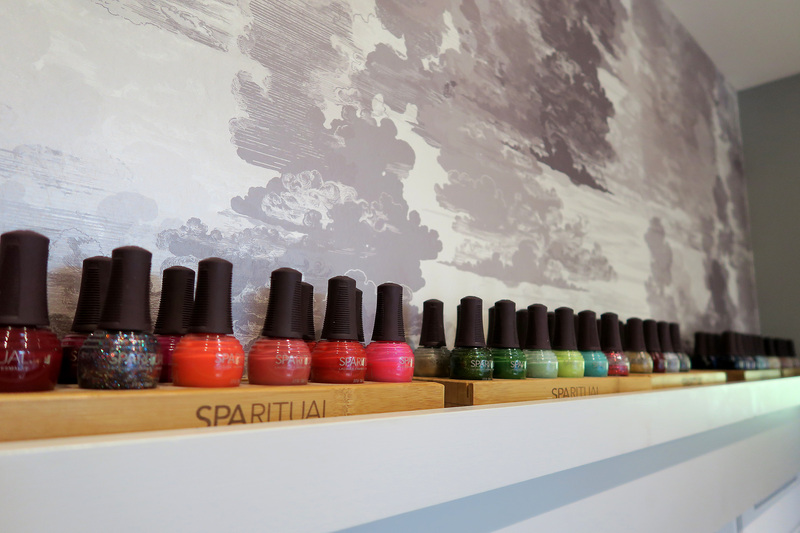 My pedicure was in The Snug, Moddershall’s super cool cabin made for pampering over a refreshing cocktail. 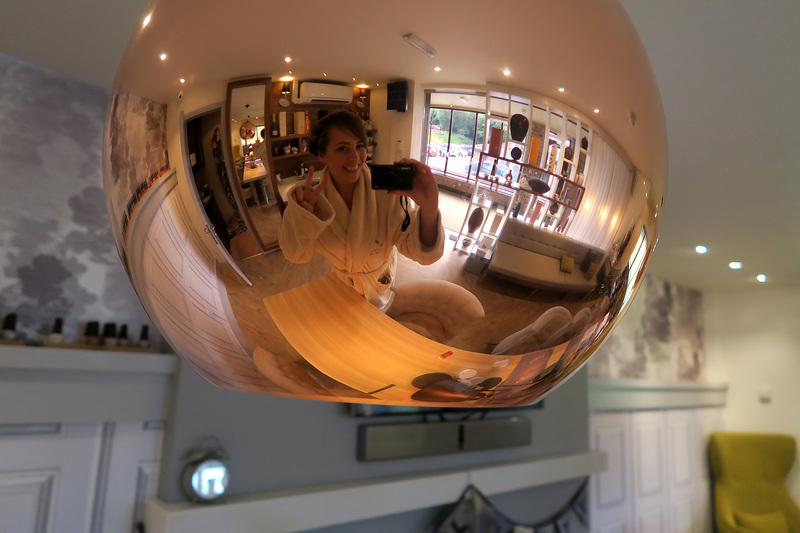 I was treated to 25 minutes of scrubbing, soaking and pure indulgence with my lovely therapist and a big glass of Pimms, the oils were incredible and my feet felt like new afterwards – I was one very happy bunny indeed! 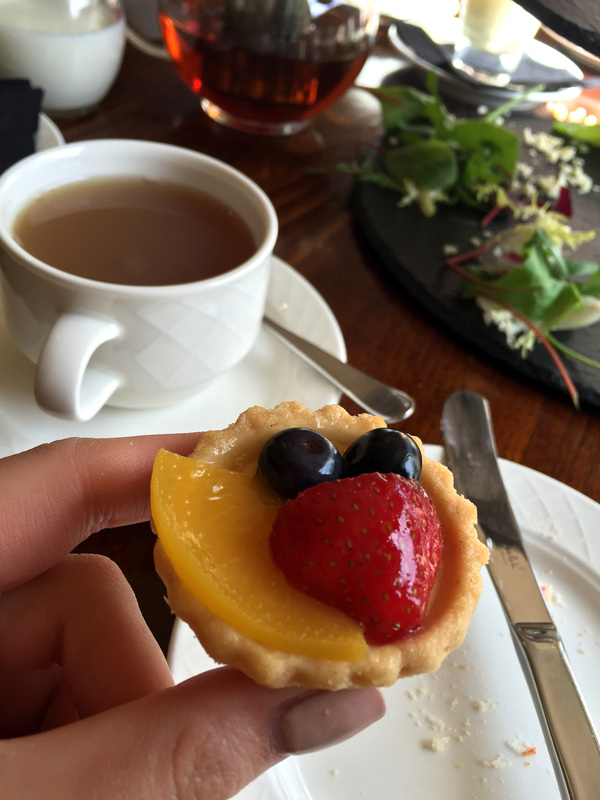 After our treatments we met in the restaurant for Afternoon Tea! 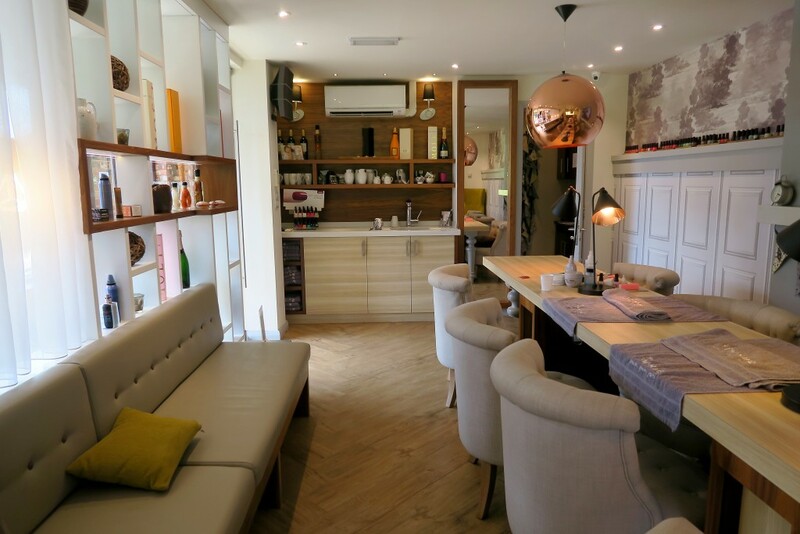 Joe was very ‘floaty’ after his massage and said the oils they used smelt incredible – if I hadn’t been treated to a massage at our villa two days before this would have been the treatment I would have chosen too, can’t beat a good massage and Moddershall certainly know what they’re doing. Still in our robes we were shown to a lovely light table in the restaurant looking out over the lake ready for our afternoon tea! I was offered a choice of Earl Grey, English Breakfast or Peppermint tea on the day but I’ve recently found this loose leaf tea menu that Moddershall have to compliment your cakes – I think our waiter may not have realised – but it didn’t matter because I was in an Earl Grey mood anyway! Joe ordered a coffee (forever breaking afternoon tea rules like a complete rebel) and we were served our tower very quickly which was great because we were getting rather peckish! 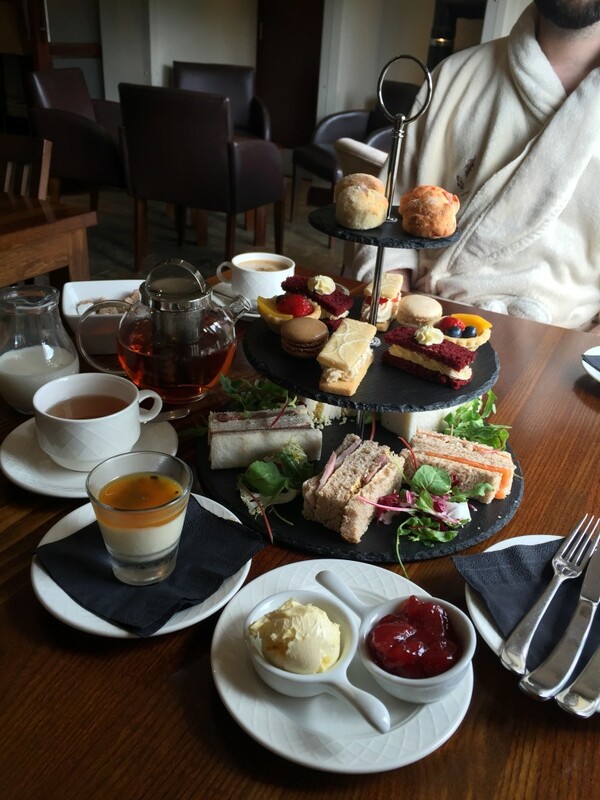 Afternoon Tea at Moddershall Oaks is a very pretty affair with dainty cakes and sandwiches served on slate with extra desserts on the side. Starting with the savoury level we had some nice sandwiches with traditional fillings – Ham & Mustard, Egg, Smoked Salmon, Beef and Cheese – tasty but a little lacking on the filling for me. Next I tend to head for the scones which you’ll need your glasses to find at Moddershall, they’re tiny! They tasted wonderful, plain and fruit with real clotted cream and jam to top them with, but I couldn’t help but feel a little bit cheated with the bite sized scone portions. 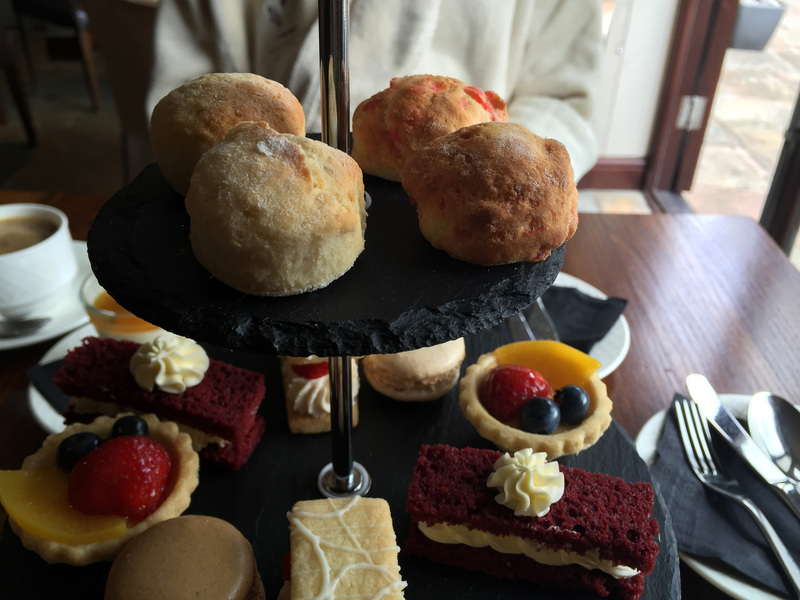 I’m a scone as big as your face kinda girl when I head out for afternoon tea, but at least these ‘diet’ scones left room for cake which doesn’t often happen! On the cake layer we had a beautiful fruit tart which I absolutely loved and will be trying to re-create at home, Shortbread, Red Velvet and Cream Slices and a pair of Macarons. The shortbread was nice but didn’t need the cream for me and I would have liked something a bit more from the red velvet as it felt a little repetitive from the shortbread also filled with cream. I’ve never tried macarons or macaroons before and I decided about four years ago that I wanted my first one to be from Paris (silly I know, but it’s been going on for so long I can’t cave now!) so Joe ate these and said they were lovely! We also had a lemon and passionfruit posset which was delicious – very refreshing and creamy at the same time. 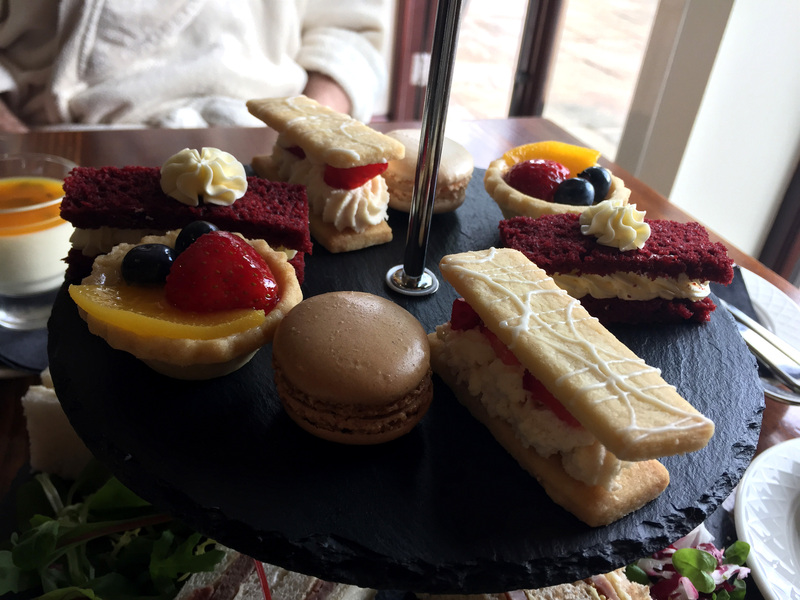 Personally I could have swapped the shortbread and red velvet for the posset and had a few more savory items instead but this was a lovely way to round off our afternoon tea and neither of us left feeling too full. 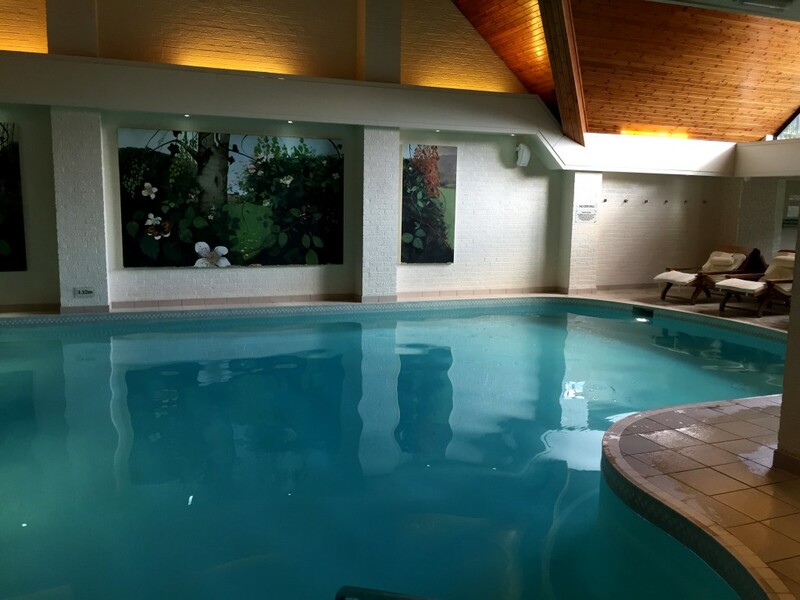 After our afternoon tea we decided to take a dip in the indoor jacuzzi and have a little lie down on the hot stone beds! Our day finished at 5pm so we handed in our robes and headed off home feeling incredibly relaxed and calm after our spa date. 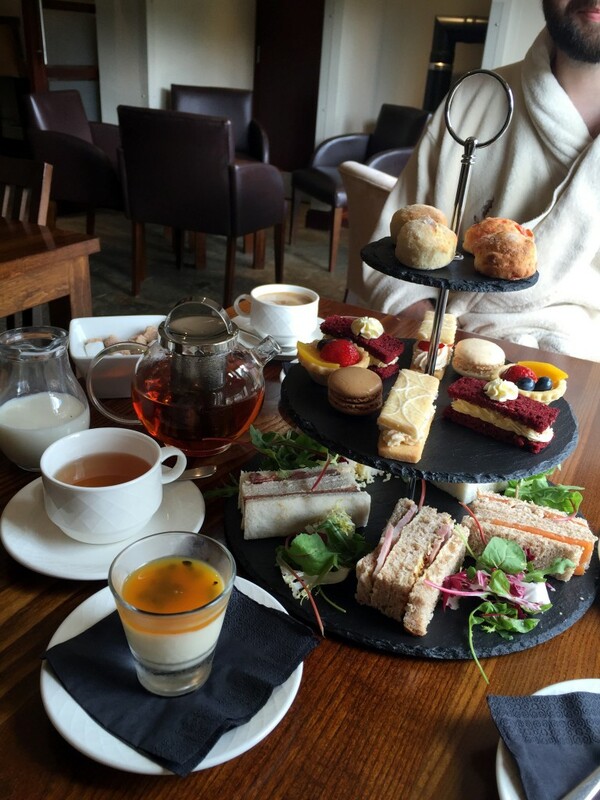 Joe thoroughly enjoyed himself and I loved having him there – if you can drag your man out of the pub and away from the football a spa day together is the perfect way to spend some quality time…and even though they might not admit it, all boys love to walk around in a robe and be pampered every now and again! 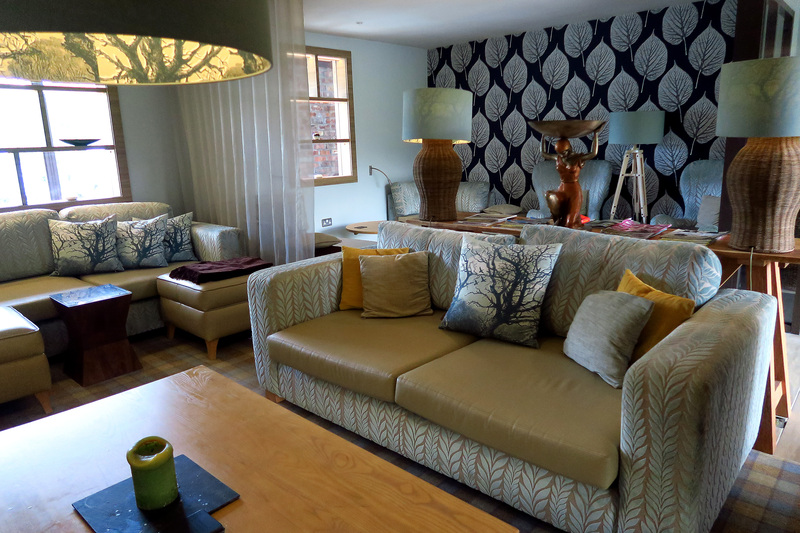 Moddershall Oaks have rooms so you can stay over which really would make for a wonderfully indulgent weekend, and I’m still yet to try the food in their raved about restaurant for evening dinner. 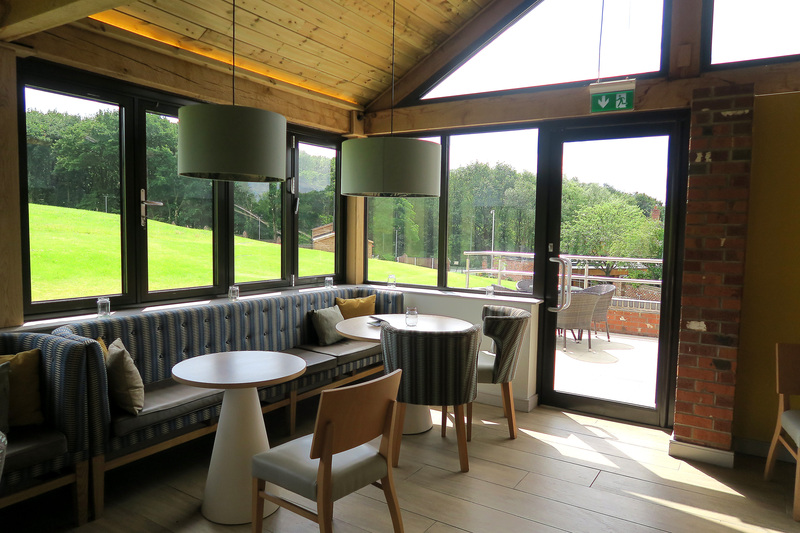 I’ve been to Moddershall Oaks a number of times with different people and for different reasons and I never tire of visiting – it’s such a serene environment with little luxuries that make it the perfect place to escape and unwind. I’d recommend it to anyone looking for a truly wonderful escape from reality, be that for an afternoon, a day or an entire weekend. 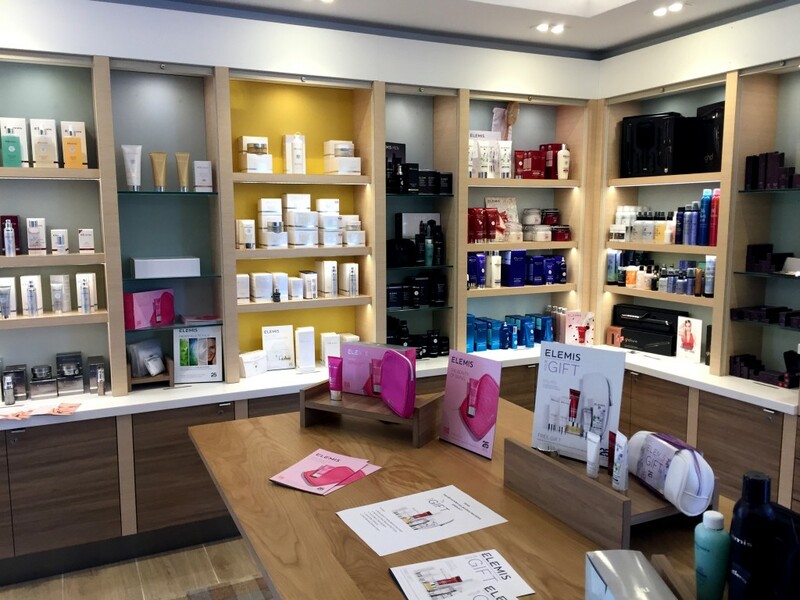 You can find out more about Moddershall Oaks and their new summer treatments on their website here – don’t forget to check out their special offers too, you might bag a bargain! 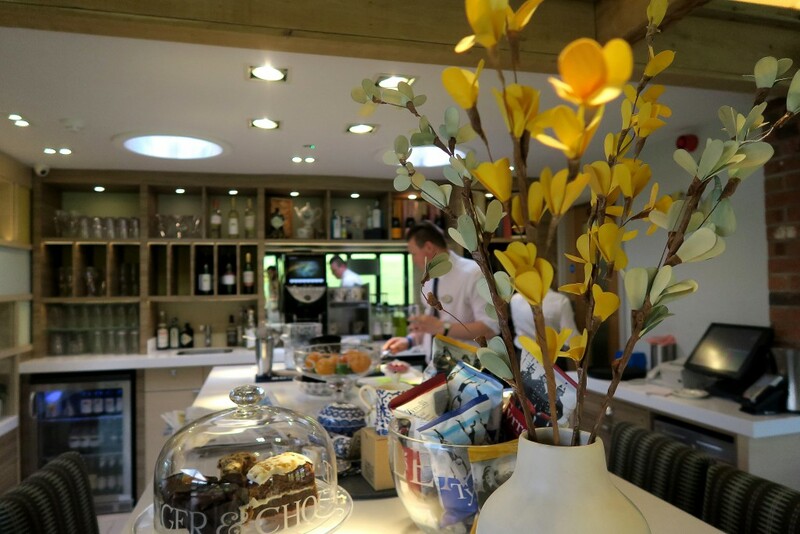 Have you visited Moddershall Oaks before? Which new summer treatment would you go for? 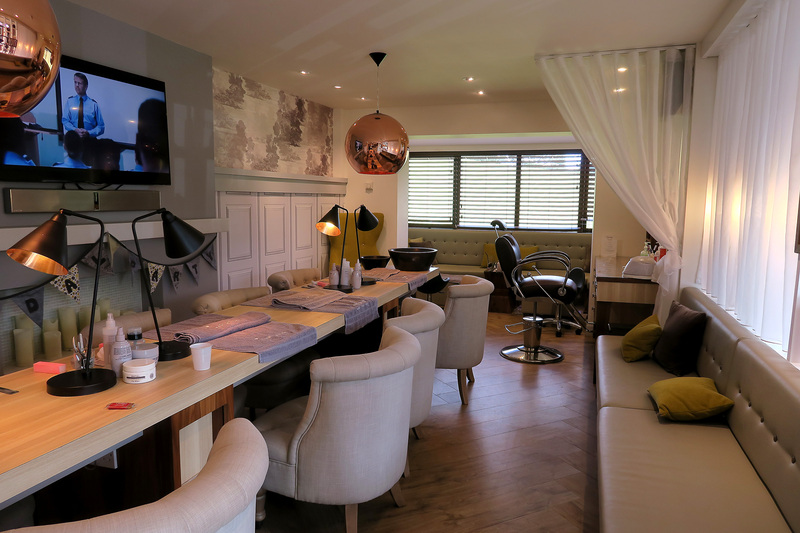 * We were invited to Moddershall Oaks for a half spa day with treatments and afternoon tea in exchange for an honest blog article of our experience. 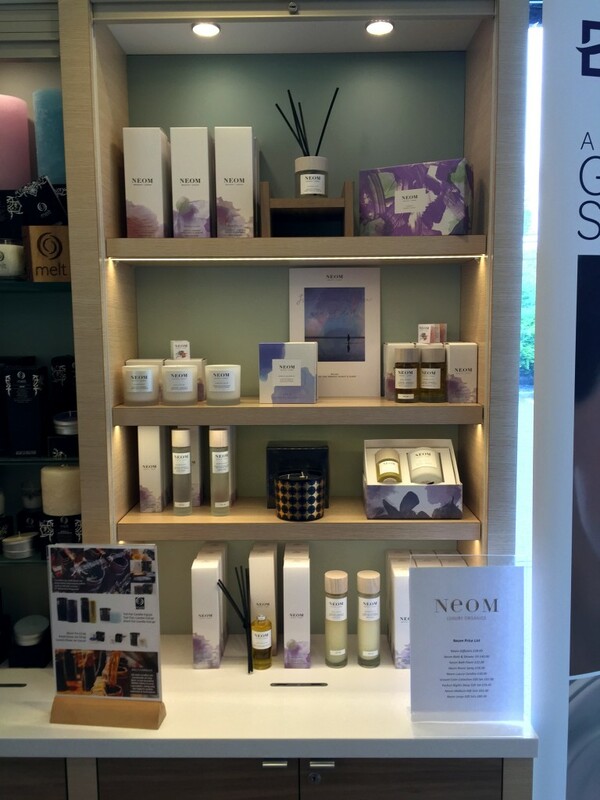 Moddershall is my favourite spa so it was one of the easiest blog posts I’ve ever written, you must visit – it’s beautiful!